(i) Relaxation up to 5% in the qualifying marks in the minimum Educational Qualification for eligibility shall be allowed to the candidates belonging to reserved categories, such as SC/ST/OBC/Differently abled. (iv) The minimum qualifications referred above apply to teachers of Languages, Social Studies/Social Science, Mathematics, Science etc. In respect of teachers for Physical Education, the minimum qualification norms for Physical Education teachers referred to in NCTE Regulation, dated 3rd November, 2001 (as amended from time to time) shall be applicable. For teachers of Art Education, Craft Education, Home Science, Work Education, etc. the existing eligibility norms prescribed by the State Governments and other school managements shall be applicable till such time the NCTE lays down the minimum qualifications in respect of such teachers. 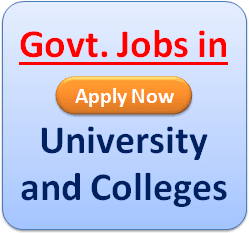 (v) Candidates who are appearing in the final year of Bachelor Degree in Education or Diploma in Elementary Education etc. are provisionally admitted and their CTET Certificate shall be valid only on passing the aforesaid Examinations. 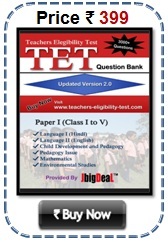 for appearing in Central Teacher Eligibility Test. Sir I am b.com then can I apply 6to8? I am AJIT I passed b.com and appearing in bed. I'm eligible for ctet 2nd paper (6-8). I passed B.A with 44.6% and M.A with 50%..this year i took admission in b.ed..Am I elligible for ctet? Sir I am passed in ctet emam in paper-1 how can get the job what can I do? And also when the ctet team allot the job for paper-1 candidates. Sir, i am b.sc. passed student and presently i am doing b.tc.2nd semester.am i eligible for ctet? Main B.A. Aur B.Ed passed hu.kaya main c.t.e.t paper 1 me baith sakta hu. Sir,I had done B.com bed can I eligible for CTET.. I had done B.com bed can I eligible for CTET..
Sir I have completed M.A. in Hindi. Am I eligible for ctet exam. 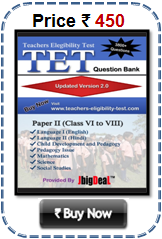 Teachers Eligibility Test (TET) 2019 , USA 4.6 5.0 73 73 Sir I am b.com then can I apply 6to8?